Are you looking for something really cute and unique for your little one to come home from the hospital in or do you know someone who is expecting and want to get them to the cutest baby shower gift possible? 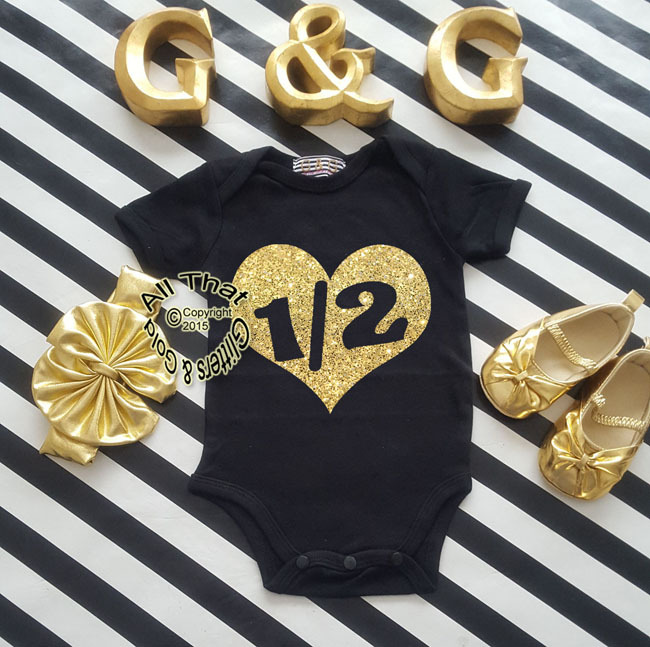 If so, our Black and Gold glitter I Love My Big Sister baby girl outfit is the perfect item. It's cute, stylish and outright adorable. Dress your baby or girl in this outfit while at the hospital and we guarantee that everyone who see them will give you a chuckle..... in a good way. You can also add the big sisters name to this shirt as an extra touch of personal flair!